Thinking of letting your property? See how Shepherd & White can help you get moving. We complete many valuations every week, giving us intimate knowledge of property prices in your area. Our valuations take all local benefits into account, whether your property is surrounded by the best parks, restaurants, schools or transport links. How will your property be displayed? We provide tenants with as much detail as possible prior to their viewing appointment along with details on how to locate the property. Your property will be display on our own website and Rightmove offer 24 hour coverage of your property. Presentation and timing are everything. We take professional photographs, produce floor plans and Energy Performance Certificates (EPC) all in just one visit. The result: your property is ready to go within days. Once tenants have registered with us our online database will automatically match their search requirements to suitable properties and email the property details straight out to them. Tenants will be instantly notified of new properties that we are marketing. If tenants are searching online they can register or arrange a viewing on our website. We highly recommend an early viewing appointment in order to secure a property. We happily accompany potential tenants to viewing appointments ensuring we are on hand to answer any questions immediately and advise where necessary. As experienced letting agents, we understand the importance to landlords of not only securing an initial tenant for your property, but also maintaining contact with the tenant with a view to securing a renewal of the tenancy where required, thereby reducing the risk of rent voids. We take time to get to know our potential tenants from registering them fully at our first meeting to talking and guiding them through the letting and referencing process. We aim to make the process as smooth and quick as possible. All of our tenants will be referenced checked and you can request to see their reference report once we receive it back. Of course the decision is yours whether you want to accept or decline any offer we put to you. Shepherd and White is a member of The Property Ombudsman and comply with the My Deposits Protection scheme. These memberships provide sellers, buyers, landlords and tenants with an assurance that they will receive the highest level of customer service. The high quality of Shepherd and White Lettings and Property Management services mean that many of our tenancies renew beyond the initial term, helping you to minimise void periods and maintain your rental income. Thankfully the stereotypes that use to surround lettings are now largely a thing of the past. The days of grouchy landlords renting out damp flats to students are (hopefully) a distant memory. Today there are many types of landlord, offering a variety of properties. Our clients range from portfolio investors with many properties to married couples that have moved on to a family home, while choosing to rent their original property (typically a flat) as an investment. We handle property for many types of landlord. Here are a few examples that demonstrate the diverse nature of our clients. The strength of the Shepherd and White name attracts hundreds of quality tenants looking to rent, so you can be assured that your properties will not be left empty costing you money. We currently manage portfolios for a large number of investment landlords, many of whom are retained clients that have used our services for many years. It is well documented that property is one of the safest investments you can make. Many of our clients are currently benefiting from receiving an average yield of 6% per annum. With interest rates offered by the banks being so low, letting a property really is an investment worth considering. To make life easier, many of our clients allow us to manage their property and simply look forward to their monthly return. For many clients this has become their pension. We can show you a comprehensive selection of investment properties securing your first buy-to-let property. We have a growing number of landlords that have let their existing property in order to facilitate a move to a new home they have bought, or in readiness to make a confident offer on a dream home. If you are finding it difficult to sell your current property ‘let-to-buy’ could be a viable option. Some clients only want to let their property to tenants for a short period of time. For example, if they have accepted a 6-12 month employment contract abroad and want to return to their property at a later date. Not all tenancies have to be long term. For many reasons there is a constant stream of tenants who only want a short contract. It could be that they want to research the area before purchasing a property or they have to move out of their home to make way for building works. Speak to one of our team about the short term and flexible tenancy agreements. We are seeing a number of people coming to us for rental advice after inheriting a property in a will. They ask us to find tenants for them rather than sell the property. 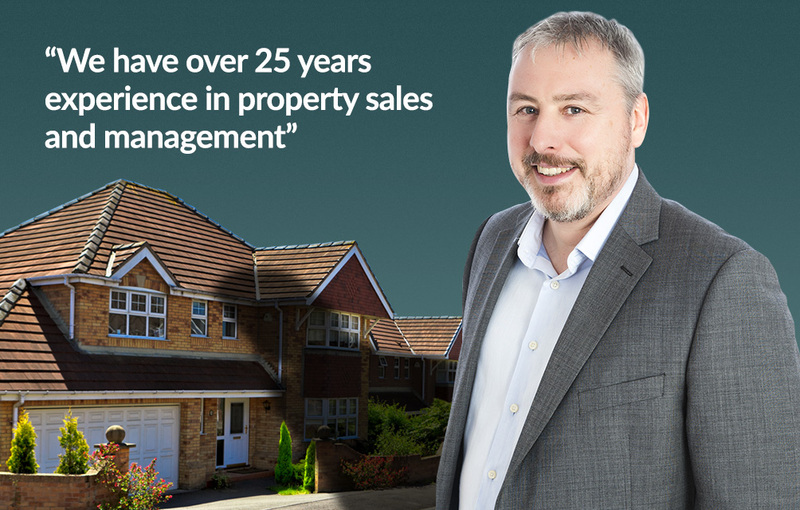 With our full management service they find being a landlord is a positive experience and continue to rent the property. Again this is an excellent addition to your pension, particularly if you factor in the future long term capital growth.